Can YouTube help me become a better fisherman? Join me as I put other YouTube Anglers’ tips & tricks to the test. I created this channel to share my fishing experiences, both good days and bad. 25,000 Subscribers later and the channel is still growing. I appreciate all of the support from the Realistic Fishing community. In a world of selective editing and hype, I try to keep fishing realistic. Wacky Rig Bass Fishing From the Bank - Easy Enough for a Beginner! Best fishing videos hands down. I have challenged myself to fish all year long and fish more in the winter. 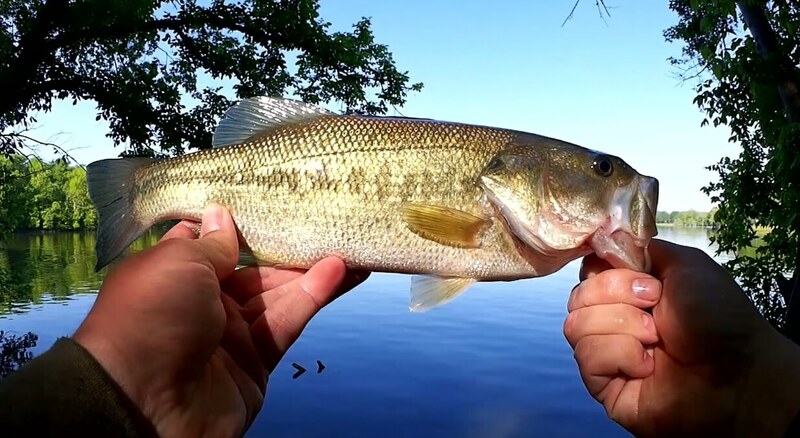 RF has inspired me to learn more about fishing and it has brought more catches and let me know not to be discouraged by a strikeout day on the lake. We absolutely love this channel!! Do yourself a favor and like this page..subscribe to his YouTube channel and be prepared to learn and be entertained!! Best damn YouTube channel out there! The night I stumbled across this channel will forever stand as the “ night my life forever changed”. Thank you sir. Your a breath of fresh air in a sport saturated with pompous buffoons. RF proves that kids can fish on gear they can afford on their allowance $ and shows that bank fishing on a budget is all the awesomeness needed to be the Worlds Okayest fisher! Also RF cleans up after slobs who litter the park, and ain't afraid to chew em out for doing it. RF on YouTube is where I go to unwind after work! Keeping it real! Not some BS 12 hour shoot edited to 20 minutes of a fish every cast.